Jonathan Koppell, dean of ASU’s College of Public Programs and director of its School of Public Affairs, was formally inducted as a National Academy of Public Administration (NAPA) Fellow on Nov. 15. “Being recognized as a NAPA Fellow alongside the other accomplished scholars and practitioners of public management is a tremendous honor,” said Dean Koppell, one of 44 NAPA Fellows initiated in this fall. Established in 1967 and chartered by Congress as an independent, nonprofit organization, the academy aims to provide non-partisan expert advice to assist government leaders in building more effective, efficient, accountable and transparent organizations. As a part of the prestigious organization, Koppell joins the ranks of more than 730 Academy Fellows – among them, former cabinet officers, members of Congress, governors, mayors and state legislators, as well as prominent scholars, business executives and public administrators. A published author and highly regarded academic, Koppell’s research interests include government involvement in for-profit enterprise; global regulatory institutions, including international financial regulatory bodies; federal insurance, loan and credit guarantee programs; regulation of financial institutions; and corporate governance, including issues related to government ownership and shareholder activism. 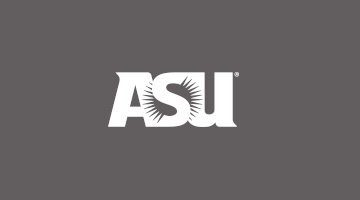 Other ASU leaders in the academy include ASU President Michael Crow and James Svara, professor and director of the Center for Urban Innovation within the School of Public Affairs.